Vitamin D is a fat-soluble vitamin and it’s considered as a steroid vitamin as it increases absorption of phosphorus and calcium as well as increases body metabolism. Early morning sunlight is recommended for the production of vitamin D in the skin. Eating foods that are rich in vitamin D as well as taking vitamin D supplements are also recommended. 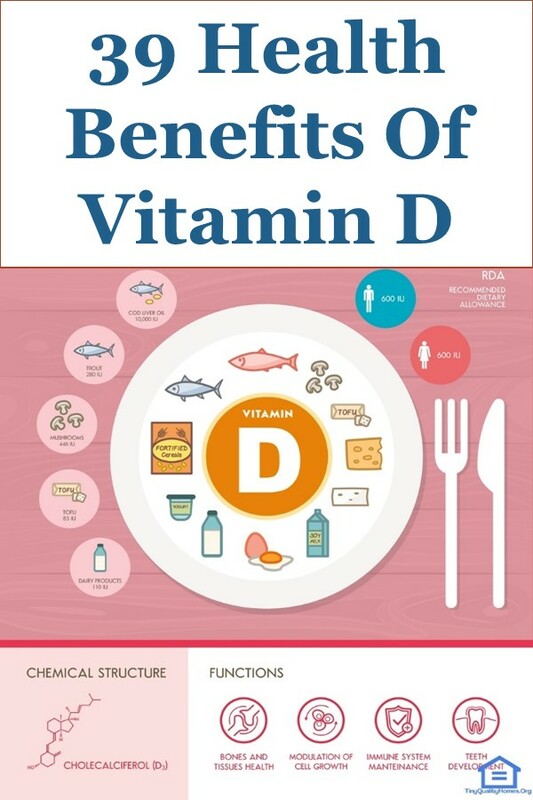 Deficiency of vitamin D could lead to various body complications and defects such as; increased likelihood of osteoporosis, rickets in children, and osteomalacia. Vitamin D intake is recommended at 400–800 IU/day, or 10–20 micrograms. However, some studies suggest that a higher daily intake of 1000–4000 IU (25–100 micrograms) is needed to maintain optimal blood levels. Sunlight is the most significant source of vitamin D as ultraviolet rays from the sun aids in the production of vitamin D. As little as fifteen minutes of sun exposure is sufficient to provide your daily vitamin D requirement. Foods rich in vitamin D include; salmon, mackerel, sardine fish. Vitamin D can also be obtained from foods such as egg yolk, butter, cod liver oil, fortified milk, and oily fish. Vegan diets are usually vitamin D deficient as this vitamin is mostly available in animal-based foods. Supplements could be taken to attain Recommended Dietary Allowance (RDA). Children with deficiency of vitamin D end up developing weak bones and getting diseases like rickets and osteoporosis. Vitamin D aids the small intestines in absorbing enough calcium and phosphorous. These minerals are responsible for healthy bone growth, movement, and transmission of messages by nerves. Vitamin D also suppresses the parathyroid hormone that is responsible for bone degradation; this leads to increased bone mass. Vitamin D is also responsible for the body’s calcium balance. Osteomalacia is a condition where the bones are softened. It is usually caused by a deficiency in vitamin D. Osteomalacia puts individuals at the risk of bone rupture, muscle weakness, and skeletal pain. This makes it painful engaging in intense physical activities. All this can easily be prevented and controlled by ensuring adequate intake of vitamin D. Vitamin D intake can be through sunlight, food rich in vitamin D or supplements. Individuals who regularly take vitamin D tend to have low blood pressure and are, thus, less likely to develop hypertension. Vitamin D receptors have been found in the heart and blood vessels, suggesting a role. Studies have also shown that vitamin D supplementation improves blood pressure control. However, research on this is not expansive and opposing studies have also been published. Some claim that increased vitamin D intake does not have any effect on cardiovascular activities. Respiratory diseases contribute to, approximately, over 2 million deaths worldwide yearly. Studies have linked inadequate vitamin D levels to increased susceptibility to respiratory infections. Studies have also shown that people with insufficient vitamin D levels benefited the most from increased immunity to respiratory infections by taking supplements. A study by Adrian R. Martineau and colleagues of Queen Mary University of London came to the same conclusion. 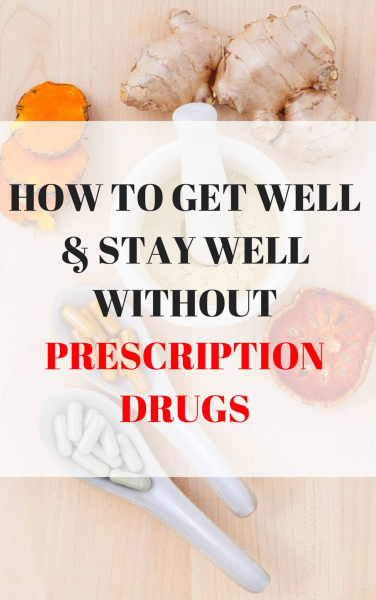 However, this only works for a consistent dosage of supplements taken on a daily or on a weekly basis. Taking large amounts of supplement for a short duration did not result in any substantial effect. Vitamin D has a role in insulin sensitivity and secretion. Its deficiency results in impaired insulin secretion especially during the early stages of one’s life. This can lead to increased risk of diseases like diabetes. Taking vitamin D supplements marginally improves the secretion of this important hormone. Vitamin D indirectly inhibits the spread of cancerous cells, inhibits the growth of cancer cells and also induces their destruction. Studies associate these vitamin D anti-tumor properties to several cancer types including breast cancer, prostate cancers, pancreatic cancer, colon cancer, and ovarian cancer. Cancer patients must, therefore, maintain an optimum amount of vitamin D always to help inhibit the spread of cancer as well as to avoid ailments associated with vitamin D deficiency that may lead to complications in the treatment of cancer. Consistent intake of vitamin D has been associated with improved eyesight. According to research from the University College London’s Institute of Ophthalmology, taking vitamin D supplements resulted in improved vision, a reduction of immune cells that cause damage in the retina called retinal macrophages, reduction of amyloid beta accumulation and reduction in retinal inflammation. This finding enabled the researchers to conclude that vitamin D supplements can help reduce vision loss associated with aging. The hippocampus and central nervous system have vitamin D receptors in their structure. Vitamin D has hormonal properties; it activates and deactivates enzymes. It does this in the cerebrospinal fluids and the brain. The cerebrospinal fluid is responsible for the synthesis of neurotransmitters and nerve growth. It, therefore, follows that inadequate vitamin D could inhibit brain function and development while sufficient intake would make your brain healthier. Studies have shown that deficiency of vitamin D is associated with poor cognitive functions. Scientists from the University of Manchester did a study where 3100 men, aged 40-69, were sampled to find the relationship between vitamin D and cognitive function. From the study, people with low levels of vitamin D showed poor information processing speed, especially in the older ones – aged 60 and above. It is therefore important to have adequate vitamin D levels for optimum cognitive functions. The connection between vitamin D levels and depression has been found in two levels so far. A study in 2005 by Eyles O.W. and others of Queensland Centre for Schizophrenia, found vitamin D receptors in the area of the brain associated with depression. Secondly, vitamin D is essential in brain functioning and a healthy brain is less susceptible to depression. Taking sufficient vitamin D would ensure the brain functions normally and thus help reduce the risk of having depression. A research done in Cape Town, South Africa sought to find out the relationship between immune system strength and the change in UVB radiation (vitamin D) through the seasons and difference in dietary vitamin D. It was found that deficiency of vitamin D resulted in reduced immunity strength making it difficult for the body to fight the HIV virus. Vitamin D deficiency was much higher during the colder seasons due to little or no sunshine. The blood, therefore, had a higher viral load during colder seasons. Supplements for vitamin D during winter increased the body’s ability to inhibit the virus. Atopic dermatitis is a severe manifestation of eczema. Recent studies have indicated that consistent vitamin D supplementation resulted in a reduction in the severity of atopic dermatitis in as little as a month. Vitamin D achieves this by reducing colonization of S. aureus a bacteria associated with the disease. Vitamin D also boosts the production of cathelicidin which helps reduce the severity of symptoms. A daily intake of high levels of vitamin D supplements in cystic fibrosis patients resulted in improved lung function. This is according to research published by the Karolinska Institute in Sweden in the European Journal of Clinical Nutrition. The study investigated how vitamin D supplementation influenced the responsive immunity to lung function in the patients. They were also able to come up with an effective dosage for daily vitamin D supplementation. In general, vitamin D levels are significantly low in cystic fibrosis patients. Studies have shown that adequate vitamin D intake increases the body’s immunity, especially to respiratory infections. Cold and flu are two of the most common infections globally. Due to less sunlight in the winter, vitamin D intake reduces for those who don’t take supplements. This may partly explain why these infections are more common during cold weather. Obese individuals are more likely to have vitamin D deficiency. Vitamin D supplements may aid weight loss in obese persons with a deficiency in vitamin D levels. Evidence from research indicates that vitamin D in the blood helps reduce body fat in obese people leading to weight loss. A research by Martineau, Ph.D., and others from Queen Mary University found that vitamin D can reduce the severity of asthma attacks. In the study, taking vitamin D supplements alongside the regular asthma medication resulted in; one, asthma attacks that require emergency room visits reduced 50%, and two, 30% reduction in asthma attacks that require treatment with injection or steroid tablets. Research published in the International Journal of Low Radiation suggest that certain forms of vitamin D protect us from low radiation. According to Dr. Daniel Hayes, a radiological health expert, calcitriol, the active form of vitamin D, can protect us from radiation. This may be further developed to be used to protect individuals from radiation-induced ailments. In recent decades, the study of the benefits of vitamin D beyond skeletal benefits has been widely conducted. Vitamin D deficiency has been found to be connected with autoimmune thyroid disease (AITD). Persons whose vitamin D levels are kept at an optimum level reduces their risk of thyroid dysfunction conditions. Supplements would also reduce the chances of thyroid Graves’ disease. Studies have shown that vitamin D supplementation reduces the severity of chronic obstructive pulmonary infections in patients that have vitamin D deficiency. The reduction is for moderate-severe symptoms. Supplementation has no significant benefit for those patients with sufficient vitamin D levels. Vitamin D binds itself to the DNA causing it to release genes that send a message which inhibits the process of inflammation. This happens up to an optimum level where increased vitamin D levels do not result in any inhibition. Vitamin D supplements are also recommended to achieve optimum levels in order to help inhibit inflammation. Osteoporosis is a condition related to osteomalacia, except in this case the bones are fragile and susceptible to fracturing. This is usually as a result of a deficiency in vitamin D. Osteoporosis is common in children and individuals in their old age. Taking vitamin D supplements or eating foods rich in vitamin D reduces the risk of osteoporosis. For those with osteoporosis, supplements should be taken to try and reverse the situation. Care should also be taken with the patients as their bones are fragile. Vitamin D plays a role in blood sugar regulation due to its effect on secretion and sensitivity of insulin. Its role in this reduces the chances of getting type 2 diabetes. Several studies have also shown possibilities that providing infants with vitamin D supplements can reduce their chances of developing type 1 diabetes. Vitamin D is associated with improved brain functions. It also improves the cognitive response of a person. The risk of Alzheimer’s disease increases with age. A middle-aged person can thus reduce their chances of developing Alzheimer’s disease by maintaining optimum vitamin D levels. Furthermore, studies have shown that older people with vitamin D deficiency had reduced cognitive functions. It has also been found that those with low vitamin D levels had a faster decline in their brain function, thus, increasing their risk of Alzheimer’s disease. People with Parkinson’s’ disease generally have lower vitamin D levels. What really causes this has not been conclusively determined. High vitamin D levels are associated with reduced risk of Parkinson’s disease and the converse is true for low levels of vitamin D. Low vitamin D level leads to other risks for Parkinson’s disease patients as they can develop osteoporosis. Vitamin D deficiency is also associated with orthostatic hypotension- a sudden drop in blood pressure which occurs upon sudden standing. Parkinson’s disease patients that experienced orthostatic hypotension tended to have low vitamin D levels. Vitamin D helps relieve the early manifestations of polycystic ovary syndrome (PCOS). Studies have associated low vitamin D with menstrual and ovulatory abnormalities, hyperandrogenism, low pregnancy success, insulin resistance, and obesity. All these symptoms increase the risk of having PCOS. The severity of these symptoms can be reduced by taking vitamin D supplements consistently. It can also generally lift an individual’s mood. Vitamin D plays a role in reproductive health, both in males and females. In males, vitamin D is associated with three factors; fertility, sexual function and testosterone levels. Vitamin D deficiency is associated with low sperm count as well as poor quality and motility of sperm. Deficiency of vitamin D is also associated with low levels of Inhibin B, an indicator of male fertility. Men with low testosterone also tend to have low vitamin D levels. Taking vitamin D supplements can help improve these three factors. In the second half of pregnancy, vitamin D demand significantly increases. The fetus gets vitamin D exclusively from the mother. The mother should, therefore, ensure she consumes enough vitamin D rich foods for both herself and her unborn child. The fetus requires vitamin D for bone development, ossification, and other body functions. When the baby is born, he must continue receiving enough vitamin D through sunshine and breast milk for healthy bones and optimal growth. To achieve this vitamin demands from sunshine and diet can be difficult for a lactating mother and thus supplements are recommended. Research findings have shown that Vitamin D accelerates the antibiotic treatment of tuberculosis. Vitamin D has also been associated with the reduction in severity of tuberculosis symptoms. It can also increase the amount of potent immune proteins to fight bacteria. Vitamin D boosts the immune system to inhibit respiratory infections and, thus, actually prevents tuberculosis. Studies have linked low vitamin D intake to cardiovascular diseases. Persons with cardiovascular conditions were found to be more likely to have vitamin D deficiencies. Studies are increasingly suggesting that taking supplements can reduce the chances of cardiovascular diseases. However, available research is inconclusive. For patients already having these condition, research shows that adequate vitamin D can help reduce complications due to cardiovascular diseases. Kids who spend most of their time outside in the sun are less likely to develop multiple sclerosis. Also, the chances of developing multiple sclerosis increases as you move away from the equator. This is because the amount of sunshine diminishes and so does the intake of vitamin D. Although the specific role vitamin D plays in this has not been conclusively determined, this correlation suggests that vitamin D prevents multiple sclerosis. Furthermore, vitamin D can slow the progression of this condition. Patients with high vitamin D levels have shown less severe symptoms. Studies have shown that prolonged physical activity with reduced body pains is associated with high vitamin D levels. Muscle pain is sometimes a sign that you have less vitamin D and taking supplements would help you recover to an optimal form. Vitamin D’s anti-inflammatory properties also make it reduce pains associated with inflammation. Patients with SLE tend to have vitamin D deficiency. This is because of the photosensitive nature of the condition. Excessive photoprotection lowers the skin’s ability to absorb sunshine for vitamin D. Vitamin D augmentation, through supplements, have benefits on SLE symptoms. Patients would also get other benefits of vitamin D.
Vitamin D is beneficial for psoriatic patients. Most medication for psoriasis contains some form of Vitamin D. Psoriasis is associated with increased skin cells. Vitamin D slows the overgrowth of skin, thus, reducing the characteristic scaly look of the skin. The second way vitamin D helps in treating psoriasis is by improving the immune system as psoriasis is associated with the abnormal functioning of the immune system. Exposure to the sun is beneficial as the skin gets to synthesize vitamin D. However, not all rays from the sun are beneficial. Some can cause skin damage and even cancer. Vitamin D protects cells from damage by ultraviolet light and also prevents DNA from damage. Vitamin D is a natural, powerful antioxidant. In tests, active vitamin D was introduced to cells to see if vitamin D could help inhibit the harmful effects of free radicals on cells. Vitamin D helps reduce the effect of harmful free radicals as well as trigger the induction of enzymes that are responsible for getting rid of toxins. Furthermore, vitamin D also induces the production of other natural antioxidants such as superoxide. Vitamin D’s antioxidant properties also give it increased anticancer relevance. When the skin is damaged, vitamin D performs various functions to help heal it. In a study, high doses of vitamin D helped repair the skin from sunburns. This is because vitamin D is capable of reducing inflammation and setting tissue repair genes in motion. However, this should be done alongside other medications. A lot of people want to look young. However, the sun, injuries, as well as aging, catches up with us. By consistently increasing your vitamin D levels, you can slow this process. Vitamin D helps in the prevention and treatment of several skin diseases, protects the body from UV radiation, and protects hair follicles. Vitamin D is also responsible for the ever continuing process of skin regeneration as the old skin cells die. Individuals experiencing hair loss are more likely to be vitamin D deficient. Vitamin D regulates the behavior of genes that promote normal hair follicle growth. Quality sleep may just be supplements away. Observations have shown that increased vitamin D levels lead to improved quality of sleep. How vitamin D does this cannot be factually stated as research on this matter is limited. However, theories have been put forward. For instance, since vitamin D aids in reducing depression and improving brain function, then through similar principles, improve sleep.